If your business employs people you need to be aware that changes to the National Living Wage – announced in the Autumn Budget 2018 – take effect from April. From 1 April 2019 the National Living Wage, which is the minimum wage for employees aged 25 and over, increases by 4.9%, from £7.83 to £8.21 per hour. It means that every full-time worker gets an annual pay rise of £690. 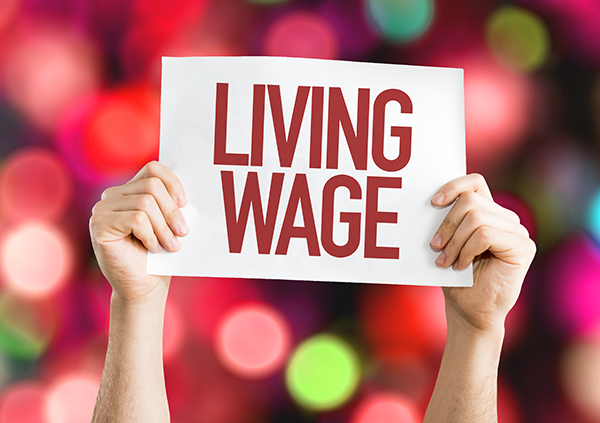 The increase in the National Living Wage exceeds both inflation and average earnings and around 2.4 million of the UK’s lowest-paid workers are set to benefit. The apprentice rate is applicable to workers aged under 19 and those aged 19 or over and in the first year of their apprenticeship. Apprentices are entitled to the minimum wage for their age if they are aged 19 or over AND have completed the first year of their apprenticeship. If you have any queries about changes to the National Living Wage or National Minimum Wage, please call our payroll team on 01785 243276.